Mountain flight suits to any travelers or trekkers, who wish to have a view of mountains within a short span of time, but it fits more to them who are physically weak and who have less time but want to enjoy with the magnificent views of mountains in Nepal. 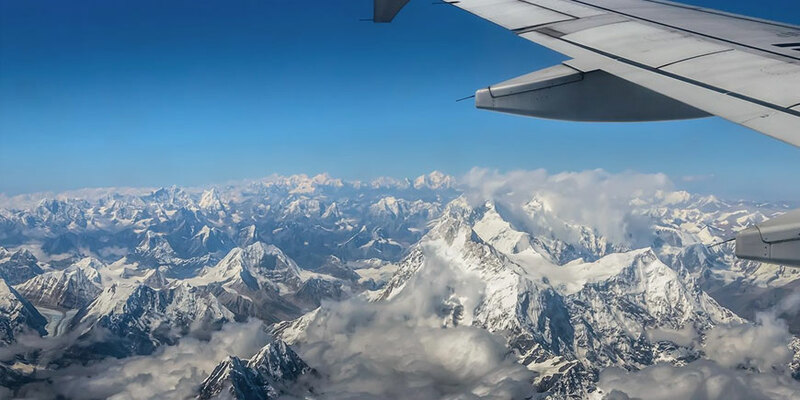 There are several domestic airlines in Nepal which provide fights in the mountain area, namely, Buddha airlines, Yeti airlines, they are considered to be the safest aircrafts. There is no doubt that the mountain flight gives you the best opportunity to get the closest and the best view of Mount Everest [8,850m] and other mountains such as; Shisa Pangma [8,013m], Gauri Shanker [7,134m], Melungtse [7,023m], Cho Oyu [8,201m], Pumori [8,171m], Nuptse [7,855m], Lhotse [8,516m] Amadablam [6,856m and so on. The flights are operated every morning from Kathmandu airport to any destination you want. No doubt, you can take the spectacular pictures of the mountains including the world’s tallest mountains—(Mt. Everest) of the earth.